Collard, Sneed B. III, Hopping Ahead of Climate Change: Snowshoe Hares, Science and Survival. 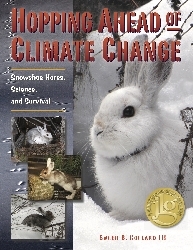 Addressing the issue of climate change from the perspective of one species, the Snowshoe Hare, veteran nonfiction science writer Collard gives us fascinating insights into what’s going on with this (extremely adorable) animal. Snowshoe Hares molt with the seasons so that they can blend in with the snow during the winter and the forest floor the rest of the year, but rising temperatures have interfered with this process, putting them at risk. Collard follows biologist Scott Mills and others as they track the hare’s movements, color changes, and all too frequent demises at the jaws of predators. Like this author’s Fire Birds, this is a perfect length for a midle grade nonfiction title. It’s beautifully illustrated with photographs and has some great graphs and charts. This would be a great book to use in a classroom setting when learning about climate, and it has a good message about stewardship and responsibility toward the planet. Younger students might be alarmed at the low survival rate of “nature’s cheeseburger”, but students in 4th grade and up can handle the realities of life in the wild. When rea ding this, I was immediately transported back in time to my childhood. My mother taught elementary school, so we had an odd assortment of books. I was able to come up with the title of The Three Coats of Benny Bunny (Asheron, Sara. Grosset and Dunlap, 1968), which was one of my favorites. 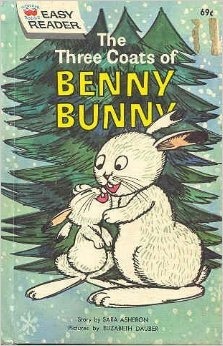 In the book, Benny learns that he is well-equipped to go on adventures away from his mother. 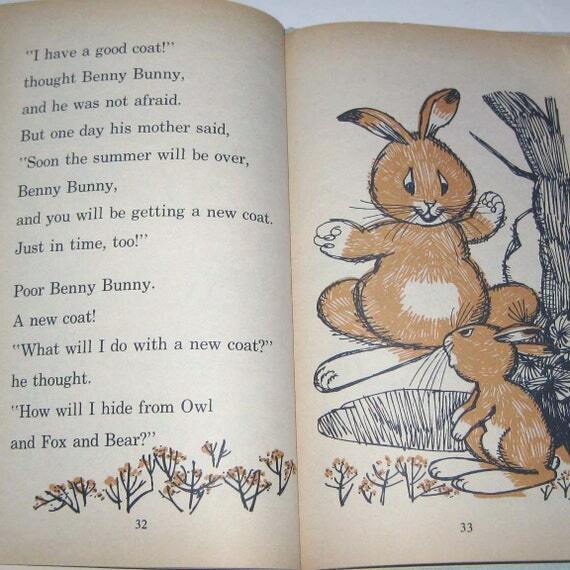 Reading Hopping Ahead of Climate Change, I think that Benny was right to want to stay at home! Read more book reviews at Ms. Yingling Reads!